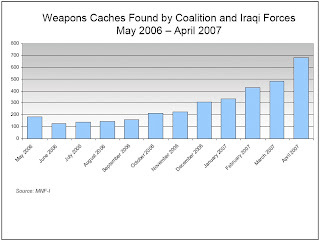 The trends continue to be supported by the coalition's data. 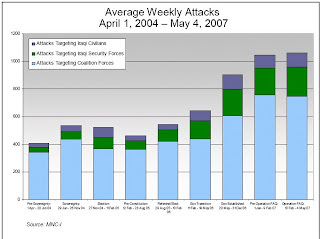 The rate of attacks is at an all time high, weapons cache finds are at an all time high, attacks are still directed overwhelmingly at occupying forces, but as the Iraqi police and army are trained and put into combat situations, they are taking a bigger brunt of the violence. The attacks on civilians remains the smallest wedge of all attacks. 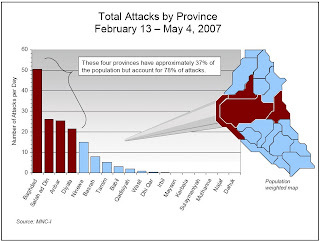 Resistance attacks are still concentrated in four provinces where the occupiers are most active, of course, and least present where the occupiers have given authority to regional parties. 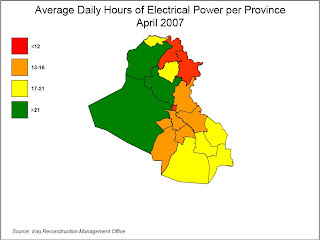 Once again, the areas under almost complete insurgent control are the areas most likely to have working electricity, which is telling. Support for a divided Iraq remains extremely low, predictably highest among the Kurds. One surprising claim is that huge areas of Iraq are either completely or partially read for transfer: that is, areas under complete or partial insurgent control are being designated as fit for a withdrawal of US troops. Diyala, Salah ud-Din, Baghdad, and Ninewah are all considered on the road to transfer. I doubt that this amounts to an admission that control has already effectively been handed over to the resistance in many cases, but clearly there is a rollback of operations being prepared, sure to be seen (correctly) as an ignominious defeat, even if the occupiers only withdraw as far as the Green Zone - which is itself under increasingly effective attack (and guess who the American government blames for that). 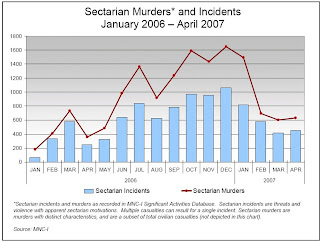 Incidentally, Channel Four news tonight reported from Afghanistan on the rolling wave of occupation massacres there: the scale of these, their ruthless brutality, their increasing frequency, is driving a growing rebellion against the occupiers. Local rulers are increasingly under obligation to criticise and attack the occupying forces and even the most pro-western elements in the elite are feeling under pressure to criticise their masters Nick Paton-Walsh summarised the situation by saying that the situation was gradually evolving from an insurgency into a revolt. So that's two failing occupations, two revolts - one full-blown, one germinal - and a caucus of North American and European governments under the threat of being ousted by outraged electorates.